Hartland Overhead Door offers cutting-edge technology with a personal touch that allows you to see how your home would look with different style doors before you make a purchase. Simply email us a photo of your home with your current door, or bring it with you to our showroom. Your home is one of the largest investments you'll make in your lifetime and Hartland Overhead Door is committed to helping you bring out its greatest potential. 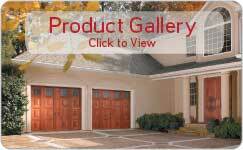 Your garage door is the largest outside surface of your home. Investing in a new garage door is an affordable way to improve your home's appearance! It's no wonder that more and more people and companies are choosing Hartland Overhead Door for all their garage door needs.